Our Club Captain, Caroline Makin and Coaching Director, Anne Smyth worked away behind the scenes to organise a fabulous opportunity for our swimmers to take part in a ‘Mastering Freestyle’ Workshop on Saturday, 6 July 2013 which was run by a superb guest coach - Brenton Ford. 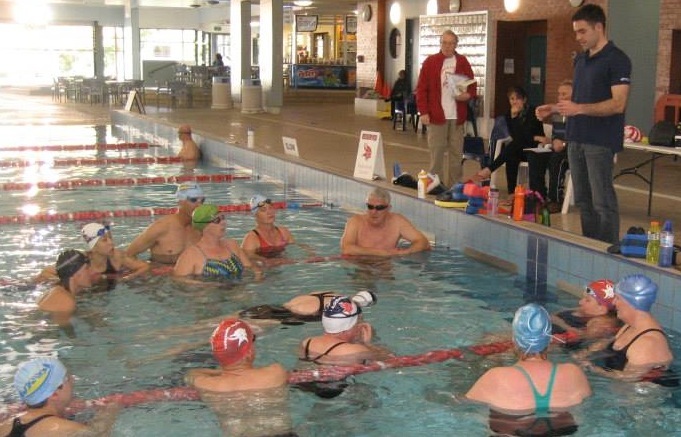 32 swimmers participated in this Freestyle workshop, and we were all very excited to have Brenton up from Melbourne for the day to run the two sessions for our members. 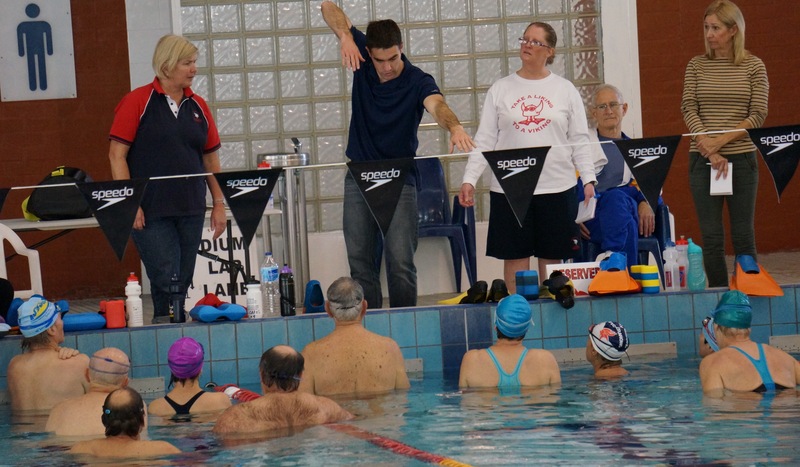 Brenton coaches the Powerpoints Masters Swimminng Club and is currently the Australian Masters Swimming ‘Coach of the Year 2012′. The workshop was aimed at improving Freestyle by focusing on various aspects of the stroke and learning drills to refine your swimming. Everyone benefited from this extended focus on technique and came away with many new tips to try. We finished the afternoon with a very sociable chat and drinks at our local Vikings Club which was a great way to end the day. Those who couldn’t attend the clinic will still benefit from the workshop as the coaches will be reinforcing these techniques and drills in training. We are aiming to hold more workshops with Brenton and other coaches in the coming 12 months, as they are an excellent way of improving stroke technique. Brenton Ford also runs a website www.effortlessswimming.com which is a fantastic resource – check it out if you are keen to develop your stroke technique and get more tips about your swimming!